Galway East Tourism - Kayakm?r Kayak Tours in East Galway, West of Ireland.Galway East Tourism - Kayakm?r Kayak Tours in East Galway, West of Ireland. 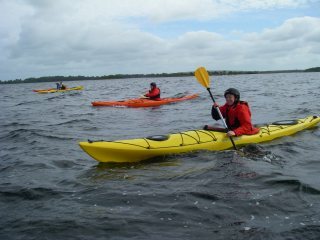 Sea kayak tours of Galway Bay, Connemara Bays & Lough Corrib. Half day and full day kayak trips available suitable for all levels of ability. Evening & weekend courses offered.